Planning a Stag or Hen Party? So you’ve finally decided to tie the knot?!!! Before all the added pressures of the Wedding day, don’t forget the traditional “last night of freedom” party, more commonly referred to as STAG and HEN parties. Have you ever wandered where STAG and HEN actually derive from? Well, we here at Hire-Limo-Surrey.co.uk have done some extensive research and have come to learn that the word ‘Stag’ as we know it ‘ male deer’, is infact not the true meaning. During Middle English, the word ‘stag’ was referred to as any adult male of any animal family. Thus only males attended a Stag nights or Stag dinners. Just as the word stag, ‘Hen’ during Middle English was also referred to as adult female of any bird family, and not as we know it today. So know we know what the words mean, how about planning the PARTY? Planning a hen or stag party can be both exciting and frustrating at the same time. Firstly deciding on where to go in terms of area. Once you decided this you’ll need to choose from the what seems numerous Restaurants, Bars and Clubs. So checklist, you have decided where you’d like to go, you’ve arranged the party and you’ve chosen the venues. So, know that’s all done, have you given any thought of how you plan to get there? Picture this, its your last night of freedom before you settle down with Love of Your Life! You’ve decided on everything else, so why not arrive in style as well? At Hire-Limo-Surrey.co.uk we’ve made hiring a Limousine SIMPLE! Planning the party was hard work, now you can sit back and relax whilst we do the rest of the word for you. One phone call or online enquire to us and we will search over 100 operators in Scotland, Manchester, Midlands to London, and the rest of the UK, all offering competitive rates and attractive features to make your night a memorable one. 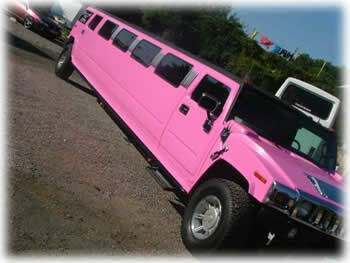 We have a range of Limo’s from the traditional Lincoln, to the most popular Stretch Hummer. For you wild party animals out there we also have Fire Engine Limo’s and Party bus’s. The most common colours for Stag and Hen parties are usually Black, White and silver and for the Hens they have two additional colours Red and Pink (Sorry Stags). The majority of our Limo’s have added features such as Mood Lighting to suit your party theme, TV’s DVD’s and most importantly a Bar with complimentary Bubbly to get you in that party mood! So, know you’ve arranged your party and your Limousines booked! What could possibly be left? Isn’t it obvious, have a fantastic time and don’t forget to send us some pics! We also cater for Birthdays, Weddings, School Proms, Corporate events and Airport Transfers.